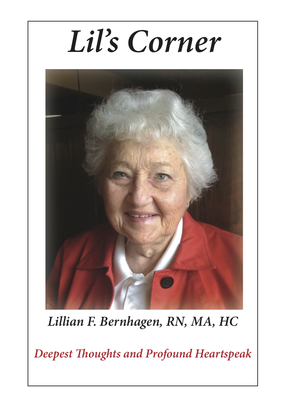 Lillian F. Bernhagen, RN, HC, was a certified Holistic Coach advanced practitioner and served as the Managing Editor and poet for SelfGrowthWisdom.com magazine, published by Journeys of Wisdom, up until the time of her death in 2013. Lil's Corner is a collection of some of Lil's poems and writings, revealing her profound wisdom and deepest thoughts. The book includes photos that express the essence that was Lil. Download your .pdf copy here.